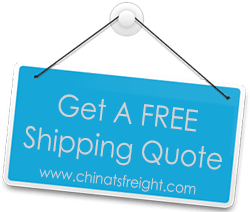 While it can seem like a simple task, international freight services rarely are without hitches and delays, and this is why you need to rely on a freight shipping expert who has the process of international import from China to Japan mastered. At TS Freight, we have done our research and trained our staff to be the best of the lot, and this reflects directly in the speed and quality of the cargo shipping from China to Japan services we offer to our clients. We coordinate everything to ensure that when you choose us as your import from China to Japan freight services provider, you get only the best. From arranging for pickup of your cargo from anywhere in China including Tianjin, Dalian, Guangzhou, Shenzhen, Shanghai, Ningbo, Xiamen, Hong Kong, Hangzhou, and more; to arranging for packaging and inventory and even handling documentation and custom clearance, we do it all and that too under a single roof. The advantage you get is that you have to deal with only a single point of contact for all your cargo shipping from China to Japan needs, wherein our team will also handle other jobs like loading of cargo in China, unloading in Japan and also oversee the final delivery at the pre-mentioned location in any of the main cities in Japan; be it Tokyo, Kobe, Sapporo, Yokohama, Nagoya, Osaka or more. We offer shipping between China and Japan by both air and sea, and our staff have the right knowledge to advice you on the fastest and least expensive transport plan based on your business needs.